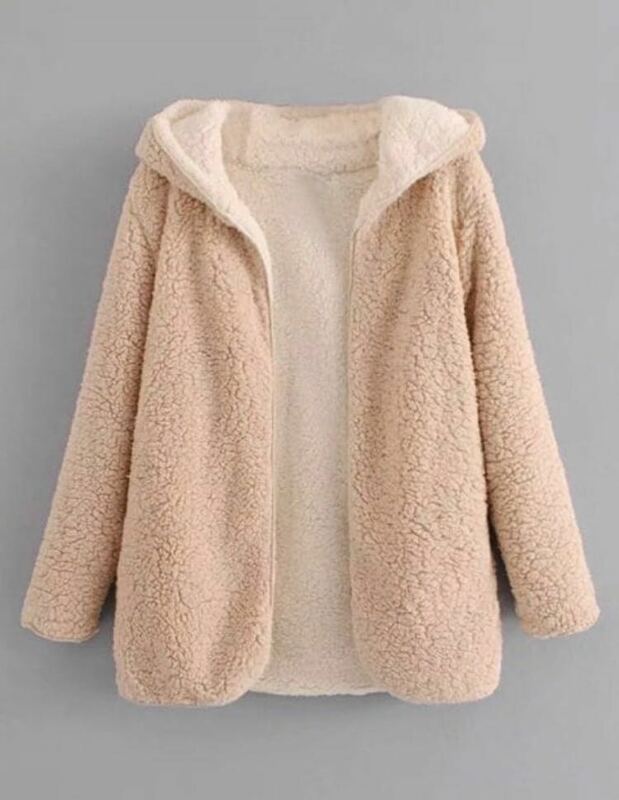 super cozy teddy jacket from zaful! worn once for a few hours and practically new, perfect condition. has a hood, pockets, and is reversible. It’s a large but it would fit as a medium or an xl!